Director David Ayer brings his gritty style of filmmaking back to the big screen this spring with Sabotage. The new red-band trailer has been released, showcasing all of the uncensored action, following the trailer preview released earlier this week. 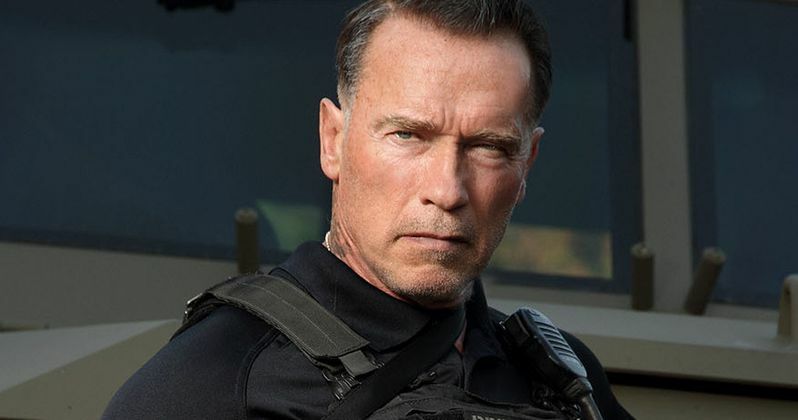 Arnold Schwarzenegger stars as John "Breacher" Warton, the leader of an elite DEA team responsible for a high-profile raid on a drug cartel. When $10 million goes missing from the raid, this unit comes under intense scrutiny, while the cartel strikes back, picking off members of the team one by one as Breacher tries to uncover the truth. Mireille Enos, Joe Manganiello, Josh Holloway, Terrence Howard, Olivia Williams and a nearly-unrecognizable Sam Worthington round out the all-star of this action-thriller, arriving in theaters March 28.